Stemless Wine Glasses with 3 available sizes: 9oz., 15oz. (as displayed), or 21oz. Each piece is Sand Carved by hand for fine detail and deep etch decoration. 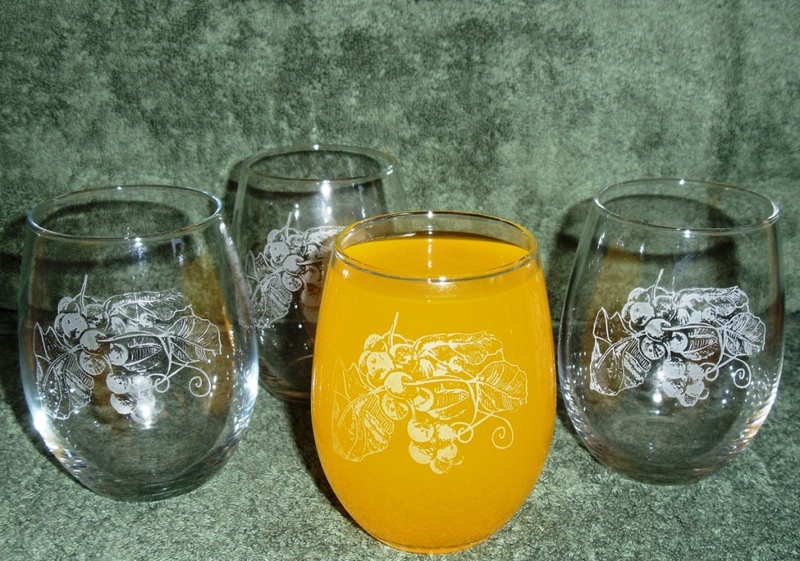 Decorated with the Grapes artwork. Decorated by hand in the U.S.A.. Product is Dishwasher Safe.